We can understand why GM Chiarelli wanted to keep this quiet! 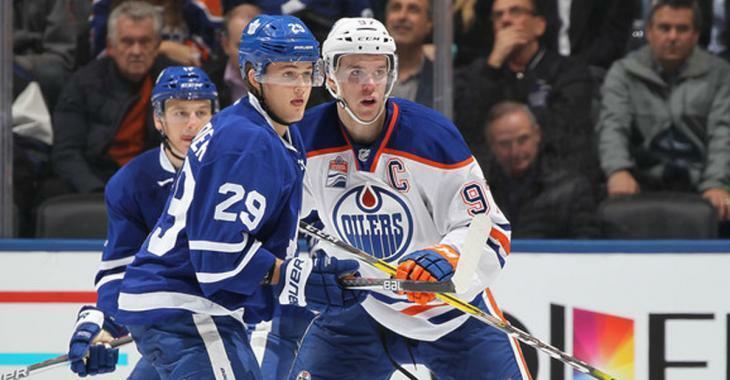 It seems to be what is taking place with Edmonton Oilers general manager Peter Chiarelli, who did not necessarily want to reveal his position in the National Hockey League when it came time to analyze all the trade rumors surrounding Toronto Maple Leafs free agent forward William Nylander. The Maple Leafs efforts to sign Nylander took a positive step forward when general manager Kyle Dubas flew to Europe this week to meet with the forward’s representatives. However, lots of work remains to be done and NHL Insider Pierre LeBrun believes the two sides have not yet exchanged contract numbers. Therefore, trade chatter is still in the mix. The discussion on the Nylander impasse included teams needing to do their due diligence in terms of checking in with the Leafs on Nylander despite the fact that Dubas has made it clear that - for now - he has no intention of trading his young forward at this point. Of course, the Oilers have no room for Nylander, who is looking for more than what Dubas is offering. The two sides remain far apart on the dollars for a long-term deal, with the Nylander camp asking for something in the $8-million range while the Leafs prefer $6 million. However, one thing we know for sure is that Chiarelli is not chasing him.